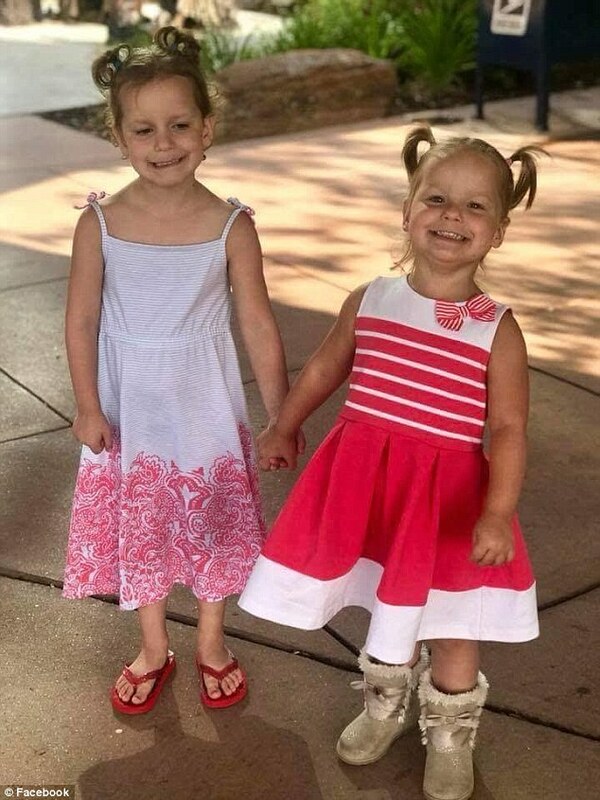 During Chris Watts’ first interrogation with the FBI he’s shown a color photograph of Bella and Celeste. The photo appears red in the CCTV footage of the interrogation. Can you find the original among Shan’ann’s Facebook images? Can anyone source it from Shan’ann’s social media [location and date]? I wonder if those were the little boots Chris said Sha’nann was going to try and sell – maybe on ebay or somewhere else. Here’s an interesting moment. After he’s photographed and before he’s cuffed he moves the photo in front of him. Here’s a better version though it still has a watermark. I wonder how he could look so calmly. Was this prior to admitting they were dead? No, this was after he confessed. The time stamp on the video is 8-16-18. It’s as if he’s trying to feel something when he stares at their photo. He’s also nodding off because he’s so tired. That’s not accurate tyu. The photo of the children was shown to Watts on Tuesday August 14 at 21:14 [as the posted photos confirm]. Not like I’m on his side with the crime, but as a suspect he really needed to say he would not speak any further without an attorney. Yes, he obviously hadn’t confessed, and he really needed to tell these two that he wouldn’t speak further and needed an attorney.